Server will be up for the weekend! Server down while I use the server comp. If anyone needs it up, shoot me a PM or and e-mail. Otherwise I will bring it up for the weekend. Server is down right now, SORRY. Many people tried to log in, but seem to get kicked very quickly. Sadly, the server log doesn't show the reason and we didn't get any hints via the forum. The only clue we've got is, that people have troubles with Worms latest Mirwood-HAK (~mirk16). So we decided to switch back to the version before this one. There is an older version of Worms Mirkwood on the vault, but it seems to be an even older one, than the version we used (before mirk16). So, we have to make "our" Worms version available again. The vault takes a while to confirm uploads. Many folks were unable to successfully implement the 7Zip version of the current Mirkwood hak, by Lord of Wyrms. These things happen, in Beta. Live and learn. We have rolled back to earlier versions of the haks, as already reported by our doggedly efficient Blackrider. Many thanks. We'll try this again - The server is up and running. 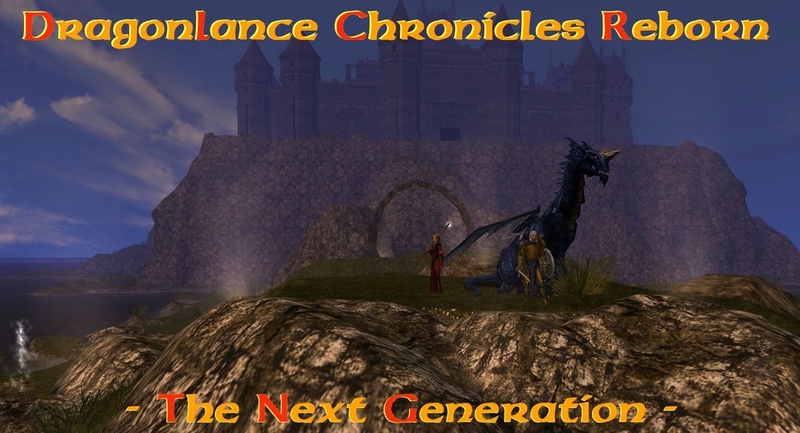 If you can't log-in - Shoot us an e-mail @ dragonlance-chronicles@hotmail.com, please! During our beta-stage, DM Evenstar will host the server from friday to sunday, maybe monday morning. There might be a delay, when he is too busy though. Drop him (or me) a PM, if you want it up during other times. It might work out (depending on RL-business). 8:30PM Eastern (Jan 22) - I'll check in later tonight. Oh and Happy Chinese New Year All! Gong Xi Fa Cai! Qulinesti/Qualinost are 1/3 of the way finished. After they are complete - The mod will go to BlackRider - who will install Haven - we should, then, have a mostly complete representation of Ansalon (Just missing the Northern chunk! Server is up for your RP-ing pleasure. Happy weekend! Qualinost/Qualinesti are in @ 50% completion. It is accessible as a qualinesi elf from the Realm of Mishakal or via DM intervention, at this point.